Domestic abuse is any incident or pattern of incidents of controlling, threatening behaviour, violence or any conduct that causes an individual significant harm. We will assess your financial eligibility and, if you do not qualify, discuss the costs involved with you. This can be between those who are or have previously been intimate partners, or family members, regardless of gender, age or sexuality. The abuse can be physical, psychological and emotional, sexual, or financial. Domestic violence is far more prevalent than we all realise. Every minute in the UK the police receive a call from the public for assistance in domestic violence. The police cannot legally advise, but we can. Globally the incident rate is 1 in 3. At John Fowlers Solicitors, no one is ever turned away and everyone is listened to. There is no bias towards men or women and their sexual orientation is irrelevant to the help that they will receive. Whatever the client’s needs, they are supported. This is a serious subject and advice is always given regardless of class, ethnic origin, religion or financial status. We offer free initial advice to ensure that any person suffering can be aware of the remedies available and also the organisations available to help with housing or support. At John Fowlers Solicitors, we use the law to protect people in these situations. A non molestation order can stop someone doing something which is significantly violent, harmful, and challenges the health, safety or welfare of the people involved or any child. It can also stop them using emotional abuse, attending a home they no longer live at or place of work, damaging property or putting derogatory comments on social media. If there is a serious situation of violence and you need anonymity, using a different court can assist with your safety and security. At John Fowlers Solicitors, we have a knowledgeable and experienced team who are able to make a non molestation order application to any court, not just the local court to where those involved live. We constantly act in our clients’ best interest and safety. Our Domestic Abuse department are also experienced in dealing with applications that need to be made on an emergency basis, without the other party knowing. These are known as ‘ex parte’ or ‘without notice’ applications. this means if there is likely to be a negative reaction which could affect the victim the protection is in place without the other side knowing. There is always an opportunity for the other party to be heard and have his/her say in court. Essentially, we believe that people should be protected. The law helps to secure the health, safety and well being of the person who is making the application and any child who is living with the applicant. we aim to safeguard people who are vulnerable in as much as we can using professional guidelines and risk management to help. An Occupation Order determines the rights of the parties to occupy a dwelling house. It can ask a party to leave the home altogether or restrict use of the home to certain areas. It can also impose an obligation to repair or maintain the dwelling house or discharge a rental or mortgage payment or other outgoings affecting the same. We work with our clients to identify the details of your situation, supporting you throughout every step of the process, resolving these difficult issues in a calm and concise way. We can work with you to organise the transfer of tenancies and matters surrounding property rights within personal relationship. Our job is to put you at ease, support you with our knowledge of the rights you have and find a solution for everyone involved. Our specialist team provides seminars and training events to educate local organisations and offer them assistance surrounding the understanding of the Family Law Act and Children’s Act and any changes to the law within them. The domestic abuse team helps clients by leading them to long-term empowerment and dissipation of their difficult and distressing problems. We collaboratively discuss unusual and complex cases, able to support you in gaining meaningful control of the situation, giving you the relevant assistance and guidance to move forward with your life. We offer free initial advice within 24 hours, that can be conducted within or out of working hours. Dawn works closely on an inter agency basis with the police, social care and women’s aid to provide a supportive comprehensive and reliable service to all who need it. 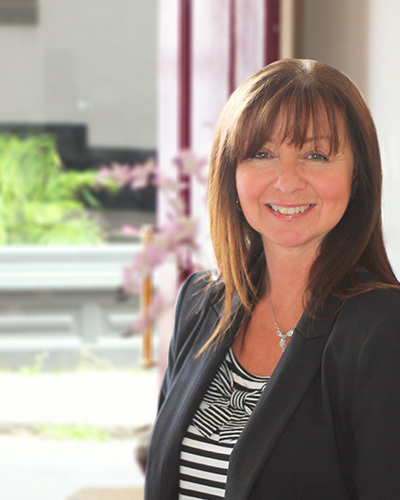 To get in touch with Dawn and her team, contact dawn@johnfowlers.co.uk or call 01206 713900.